Unless you’re going to do this for EVERY school in the district that had repairs, and include ALL repair costs in the C-4 bond money allocation for each school, as you appear to have done for Simi Elementary, and show them all side-by-side, this is immaterial. Also, please be careful that your “facts” are accurate, as I’m sure you wouldn’t want to mislead the people of Simi Valley. Thank you. Ms. Hollander: The facts presented here are accurate. This timeline is NOT specific to Measure C4, though that information is included. It is a history of all of the work, inspections, reports and board actions involved with this property over the last decade. 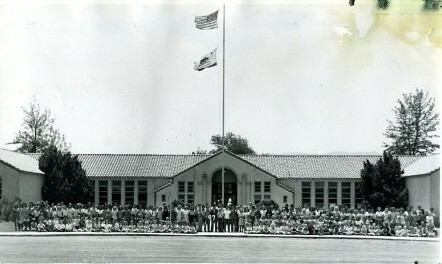 We are gathering some of the other schools’ info to show the comparison, but still believe that Simi Elementary’s history stands on its own. We’ve asked for the next oldest school (Lincoln Elementary), the newest school (Wood Ranch) and the physically largest school as comparison (that campus TBD still). If you have a question about a specific citation or reference within the timeline, please feel free to reach out to me directly and I will be happy to provide additional information. My email is jake.finch@simivalleyusd.org. Thank you for taking the time to comment. I realized that I misread the expenses as C-4 expenses after I posted the comment, but I couldn’t figure out how to edit my comment while it was waiting to be approved for posting, so I apologize for my misunderstanding. It doesn’t really change my main point about the comparison to other schools, though. Also, I don’t know if you were at the public hearing tonight, but Sue Koch was there and directly addressed your report. If there is a way for you to get in touch with her, perhaps it would be a good idea, as she had a lot to add in terms of context, and specific correction, and as hers is the name on many of the work orders, she would really be the person for you to talk to for clarity. Thank you for your response. p Please save simi elementary!!!!!!!!! from Chris Morin my first grader loves his school and so do I. Me too! We’re doing our best!